ACL season 37 has been a riot. In case you missed it, the first episode of our new season aired over the weekend featuring foot-stomping performances by Mumford & Sons and Flogging Molly. Just a few weeks ago, over ACL Festival weekend, we blew our ear drums with five performances in five days, and now, coming up this week, we’re proud to announce the last two tapings that will air this season: electro goddess Lykke Li and magnificent rockers Wilco. We’re excited to welcome Lykke Li to our new home at ACL Live at The Moody Theater. 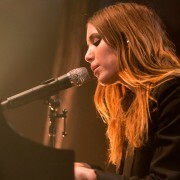 Keep your eyes peeled for ticket giveaways coming up for the Lykke Li taping on November 4th. On November 30th, we close out season 37 with a group that needs very little introduction — Wilco will perform in a very special performance featuring songs from their latest album hot off the presses, The Whole Love, which recent reviews call, “otherworldly.” This performance marks the band’s third triumphant return to ACL — in what we wholeheartedly expect will be a “new peak” for the band. 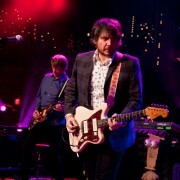 Check out some video from Wilco performing at ACL back in season 33 (2007) below. If you haven’t made it out to ACL yet this season, this is your chance to catch the final two tapings. Stay tuned and check this blog for ticket giveaways about a week before taping dates (November 4th & 30th), and follow us on Twitter and Facebook for more up-to-date information. Until then, watch Austin City Limits with fans nationwide on PBS.